Greece Library Teen Blog: Three Teen Books I Can't Wait to Read! What timing! A novel about march madness basketball, and the players who star in the drama. Malcolm wants to get to the NBA ASAP. Roko wants to be the pride of his native Croatia. Crispin wants the girl of his dreams. M.J. just wants a chance. The heavily favored Michigan Spartans and the underdog Troy Trojans meet in the first game in the semifinals, and it's there that the fates of Malcolm, Roko, Crispin, and M.J. intertwine. Which team will leave the Superdome victorious? Fourteen-year-old Haley is struggling to cope with her stepmom and baby brother, with her beloved cousin's terminal illness, and with dropping grades at school. 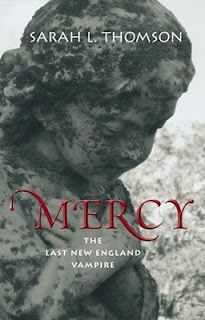 When she digs deep into her family history for a school project, she uncovers a disturbing New England tradition and a ghostly past. Haley must overcome her doubts and confront a vampire in order to save herself and her family. Inspired by a true New England story! 495 five star reviews on Amazon.com. Enough said.